There are many different ways in which to win a basketball, game and while a lot of fans would prefer to see their team going gung-ho and displaying a great deal of attacking action, there is a lot to be said for having a strong defence. If you limit the number of chances that your opposition has, you should be able to win if you take a reasonable amount of your own chances. This was the approach that CSKA Moscow took in Athens on Wednesday night and it worked a treat. 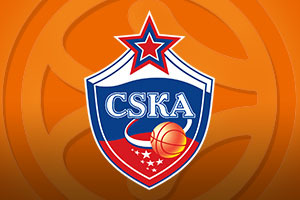 This away win gave CSKA a 3-1 victory in the best of five series and they can look forward to Madrid for the Final Four. This was a brilliant showing from a team who have been in fine form all season and the fact that Panathinaikos couldn’t score more than 12 points in three of the quarters says a lot about the great defensive showing. Once three minutes of the game had elapsed, CSKA Moscow were never behind. Andrei Kirilenko was a key player early on and he was dominant as the Russians moved into a double digit lead within the opening quarter. James Gist was a big player in the second quarter for Panathiniakos, cutting the lead to 3 points at one point but at half-time, the Russians were leading 32-37. Nikos Pappas, the star in previous games grabbed a triple to haul the score back to 41-45 but this was the cue for CSKA to go on a 0-13 scoring run which left them on easy street for the rest of the game. Nando De Colo offered up 18 points over the course of the game while Kirilenko provided 13 points, 10 rebounds and 3 blocks, playing a massive role in the convincing win for the team from Moscow. 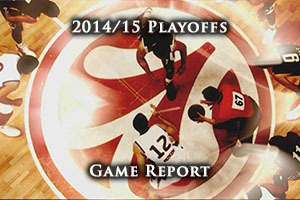 Kyle Hines managed to provide 12 points for the winners and Sonny Weems put his disappointment in the previous game behind him with 11 points. Pappas was the key man for the Greek team, offering up 11 points while James Gist and Loukas Mavrokefalidis offered 10 points. Dimitris Diamantidis offered up 9 points and 5 assists in the loss which brings the Euroleague campaign of Panathinaikos to an end. The Final Four in Madrid doesn’t get underway until Friday the 15th of May, with the two semi-finals taking place on that day. The third and fourth playoff game and the Championship game will be played out on Sunday the 17th of May, so there will be plenty of time for CSKA to recover, and take care of domestic duties before fully focussing on the Final Four. Fenerbahce are already in the Final Four while the other two spots are yet to be decided, but the four teams could be decided by Thursday night depending on how results pan out. On the form they have shown this season, CSKA Moscow should fear no one but they will know how quickly a game can run away from you in the Final Four, so they will take nothing for granted in May next month.